My Take on it – After having re-watched the original X-men movie two weeks ago for Natasha’s Marvelous Monday, I was pleased to have been able to watch the next installment not too long afterwards. It’s hard to say whether this one or the original is better because they both are great movies which is not such a common occurrence when studios want to crank out sequels just to make a buck. The advantage that this movie has is that it doesn’t need to waste too much time on introducing the characters since we are already familiar with most of them and they were able to dive right into the action. 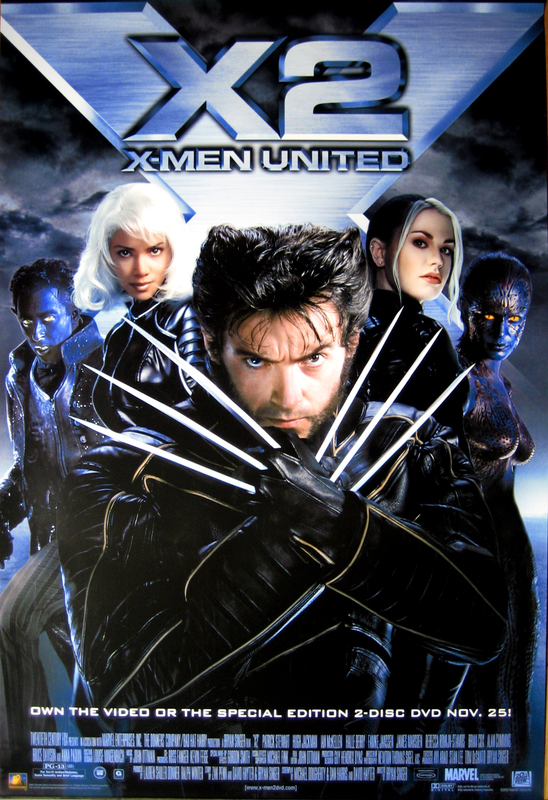 One of things that I love about the X-Men characters is that there is such a diversity among their powers that they all must work together as a team (whether they are good guys or bad guys) to be the most effective. The opening sequence of this movie is Amazing!!!!! Watching it in the theater was such a thrill because it proved to the world that movie special effects had advanced so much that superhero movies could make superpowers seem real. Unfortunately, the next installment wasn’t as good as this one was and it took until the rebooted the franchise in 2011 for there to be another excellent installment. Bottom Line – A very good sequel that relies on the strength of not having to introduce all of the characters to give us a very intriguing story. Opening scene is one of the best scenes in the entire franchise. Highly recommended! This will always be one of my all-time favorite superhero movies. Just too much fun. Nice write-up, Rob!